Qantas Airways today flew the world’s largest passenger jet on the world’s longest scheduled commercial flight – all 8,577 miles of it – when an Airbus 380 departed Sydney for Dallas/Fort Worth. Total time in the air was 14 hours and 50 minutes; add another 40 minutes to that for the return trip from DFW to Australia. 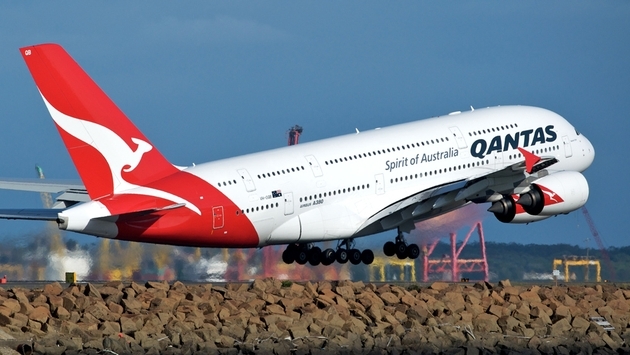 Still, it’s a phenomenal piece of aviation history as Qantas decided to switch aircraft on the route from the Boeing 747 to the 484-seat, double-deck Airbus. The Airbus 380 holds 85,000 gallons of fuel, or roughly 6,500 Honda Civics with their 13-gallon tanks. "Since starting on the route in 2011, the feedback from our corporate customers, especially those in the resources, technology and agricultural sectors, tells us they like flying into the Dallas hub because it gets them closer to their final destination in the U.S. and offers great onward connections,” Joyce said. Qantas has a codeshare agreement with American Airlines that offer travelers more than 50 U.S. destinations from Dallas.